Sixty-four percent of IT professionals say that optimizing the existing uses of cloud technologies is their top initiative, while also moving more workloads to the cloud. * As cloud uses continue to grow and expand, so do the challenges. Start getting the most of your cloud technologies. Get personalized support from assessment and design to deployment and ongoing management. At CDW, we get the cloud. In addition to our curated marketplace of backup, security and collaboration SaaS apps, our IaaS offerings can help you reduce expenses while keeping your IT environment productive, flexible and secure. While the hybrid cloud model has matured significantly, many organizations opt to work with a third-party partner that has experience implementing and maintaining successful deployments while overcoming their challenges. Hybrid cloud deployments are growing in popularity. However, complexity can challenge IT teams as they combine public and private clouds. Effective management requires tools that can help to maintain control. Cloud downtime is costly. Today's cloud technologies give you the power to build and operate resilient and self-healing cloud applications. Our curated cloud subscription marketplace gives you instant access to industry-leading backup, security and collaboration applications, including Microsoft Office 365, Adobe Creative Cloud and Google Apps. Our IaaS offerings can help you reduce expenses while keeping your IT environment productive, flexible and secure. We specialize in seamless, scalable migrations that reduce IT burdens and simplify growth. Whether you're just beginning to consider the cloud or are ready to begin workload migration, your dedicated cloud expert will assess your goals and work with you to select the right cloud provider and design the perfect solution. We have specialized teams to support customers across industries. So whether you're in heathcare, government, financial services, retail, nonprofit or any other sector that faces unique technology challenges, we can help. Chances are, we've done it before. 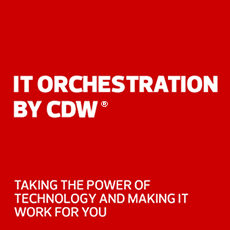 CDW's expansive network of partners and staff of industry professionals always give us straight forward answers, and unbiased opinions when searching for new hardware, software or cloud-based solutions, something we don't get from working with vendors directly. We had a recent project to move our 2,500+ staff to Adobe Acrobat Cloud and the process was seamless. CDW met our deliverables timely with this project and was spot-on with any support issues we had.